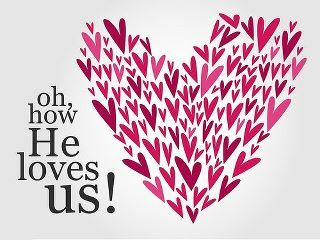 If God only loves SOME – his elect – why cannot also we love SOME people? Why not loving only SOME people if our God only loves SOME people? 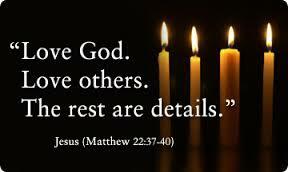 We are told to love one another because God loved us and to be merciful as him, but if the truth is rather that God only loved SOME of us – his elect – then why would it be wrong for us to act in a similar way by loving and being merciful to only a select few? 1 John 4:7 Beloved, let us love one another: for love is of God; and every one that loveth is born of God, and knoweth God—11 Beloved, if God so loved us, we ought also to love one another. The Bible says that ”IF God so loved us, we ought to love each other”, but what if he did not love us? Wouldn’t this give us a logical reason to not love everyone? It certainly sounds as though we are only expected to love God if he loves us, and if God fails to do his part (loving us) then we are not bound to do our part either (loving one another). So the point remains the same however you turn it. If it’s ”love” for God to show mercy and good intentions only on some people (creating most people for hell), then why would it be wrong for us humans to act in a similar way by being selective about which ones to love? Calvinists might protest and say that unlike God we don’t know who is elect or non-elect and therefore we should be merciful and loving to everyone, but wouldn’t this at least show that you would not be speaking the truth if you told non-christians that you (or God) love them? There is a huge risk that they might remain non-christians throughout their lives, and if they died as non-believers it would prove (if we want to be consistent with the ”God-loves-some-doctrine”) that God in fact did not love them but predestined them to be fuel in the fire. So why would you have concern for their souls and love them if God doesn’t love them? Do you have a greater heart than God? The Bible tells us that there will be few people who find the narrow way that leads to life (Matt. 7:14), and that means that there is a greater chance that God does not love a person than that he loves him/her (again, if we want to be consistent with this doctrine). The Bible however, tells us repeatedly that God ”loves” Israel, despite that some Israelites were later destroyed by God due to being disobedient. Apparently it’s possible to love people who will later perish. What if we truly behaved just like the calvinistic God – and showed the same kind of ”love” and ”mercy” as he does – and selected some unfortunate individuals to torture and even kill. We would still not reach the same horrible type of love and mercy as the calvinistic God, because he turns people in to non-elect sinners (with no choice whatsoever) and sends them to suffer for eternity. Note, that they won’t suffer due to their sins, but due to having the nerve to be born as the non-elect wicked sinners as God predestined them to be. Greater love has no man than the one who lays down his life for his friends says John. 15:13, and there are even agnostic/atheistic soldiers who have done this both for friends and for others despite not really knowing them well at all. Many atheists would gladly die for anyone of their children, regardless if the children were good kids or not. Do agnostics have a greater love than Jesus who apparently didn’t lay down his life for all people even though he could? What if a father treated some of his children really well and left the rest to suffer, and defended his case with ”I’m just showing the same type of love as God does”? The question is; if God can be selective about the ones he decides to love and be merciful to (by making a certain amount of people elect and much-loved), then why can’t we do the same? Why would it be wrong for us to select certain individuals that we decide to pour out our love on, while turning our backs on the rest? Are we not told to be merciful as God, to be perfect like him, and to love one another just the way God does? Suffice to say that the loving and merciful God of the Bible is completely different from the made-up calvinistic God, whose ”love” is both frightful and harmful. Our neighbors might be both believers or unbelievers, but Jesus tells us to love them period. 1 John 2:5 But whoso keepeth his word, in him verily is the love of God perfected: hereby know we that we are in him.6 He that saith he abideth in him ought himself also so to walk, even as he walked. 1 King. 10:9 Blessed be the Lord thy God, which delighted in thee, to set thee on the throne of Israel: because the Lord loved Israel for ever, therefore made he thee king, to do judgment and justice. 1 Chron. 28:9 And thou, Solomon my son, know thou the God of thy father, and serve him with a perfect heart and with a willing mind: for the Lord searcheth all hearts, and understandeth all the imaginations of the thoughts: if thou seek him, he will be found of thee; but if thou forsake him, he will cast thee off for ever.